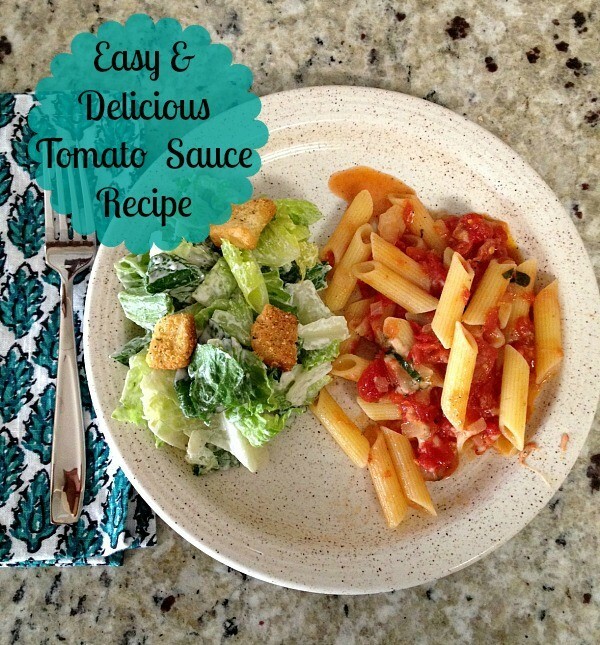 Are you looking for a super flavorful, easy and crowd pleasing tomato sauce recipe? After you make this and feed it to your family or guests, you’ll never open a jar of this again. It is so easy to make, so delicious and you know what’s in it. This will be a go-to recipe in your back pocket when you’re not sure what to make, you have unexpected guests or even for those expected guests. 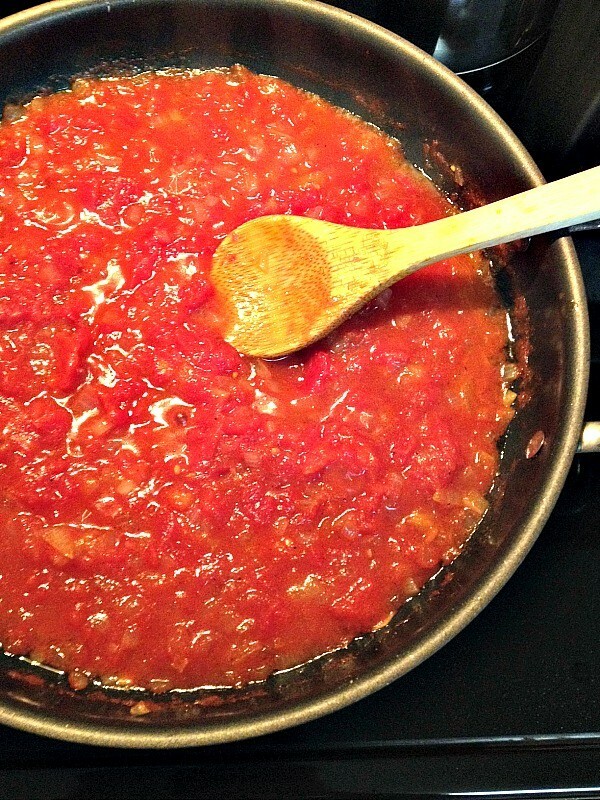 If you can chop onions, you can make this tomato sauce recipe. 1. Gather your ingredients. 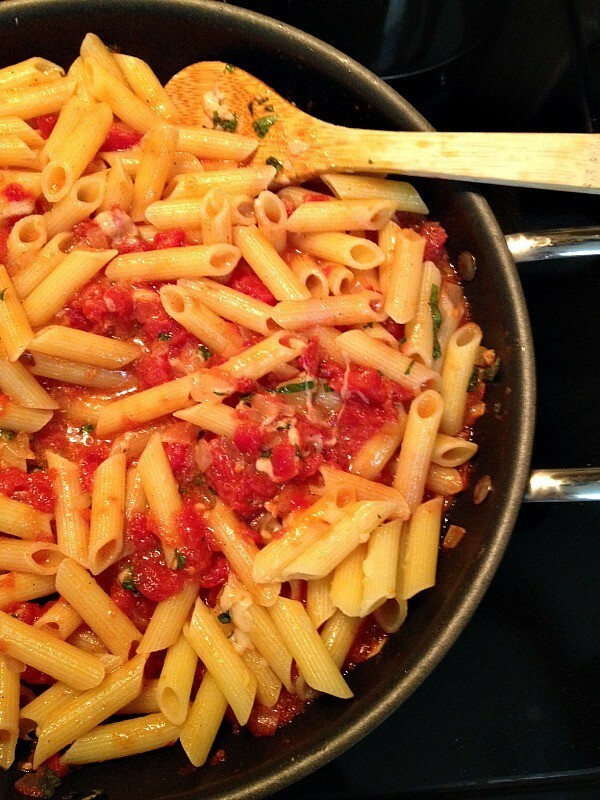 Start the water for your pasta. 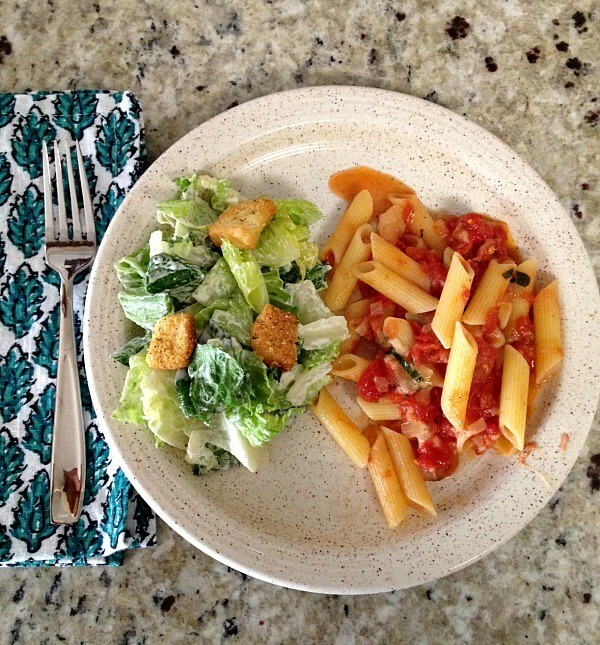 You want it to be cooking while you’re making the tomato sauce. 2. Cook the onions and garlic in the olive oil until soft. (This is my favorite smell in the entire world. It will fill your house with amazing smells and make your family smile…and will make them hungry so go to the next step.) 3. 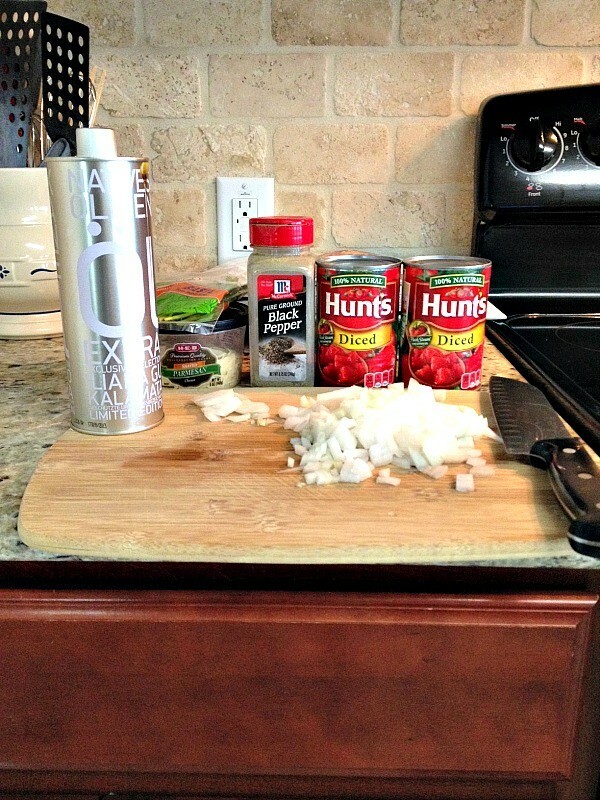 Dump in the cans of diced tomatoes. 4. 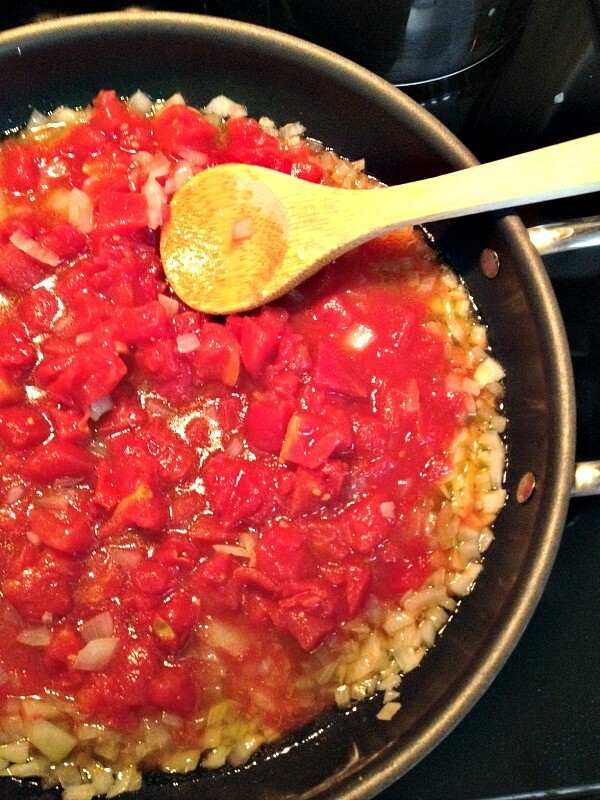 Let it cook for about 10 minutes until the tomatoes break down and the sauce thickens. One trick for those of you who have kiddos who don’t like big chunks of tomato – break out the potato masher and break up the chunks. Or use the back of your wooden spoon. 5. 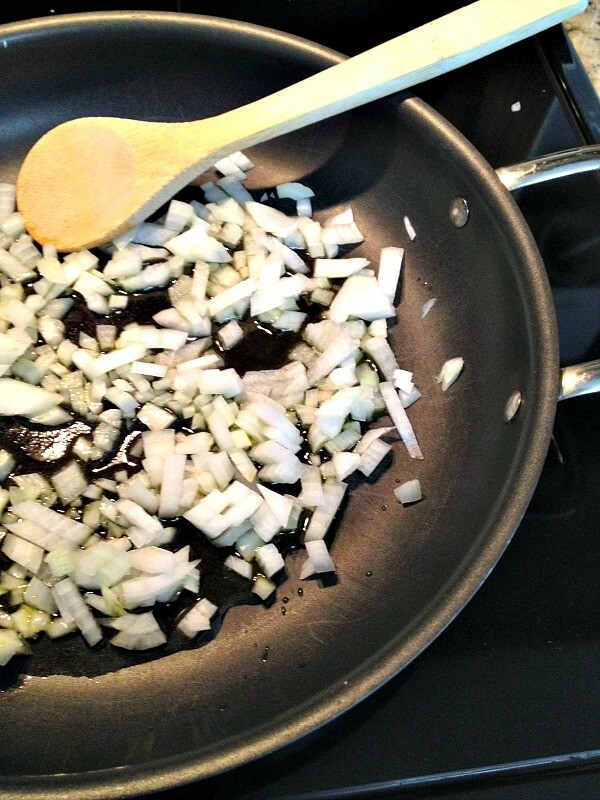 Add a little cooking water from the pasta and olive oil. (It gives the sauce more flavor and thins it out a little bit if it’s gotten too thick.) This is also where you’ll want to taste the sauce to see if it needs more salt and/or pepper. 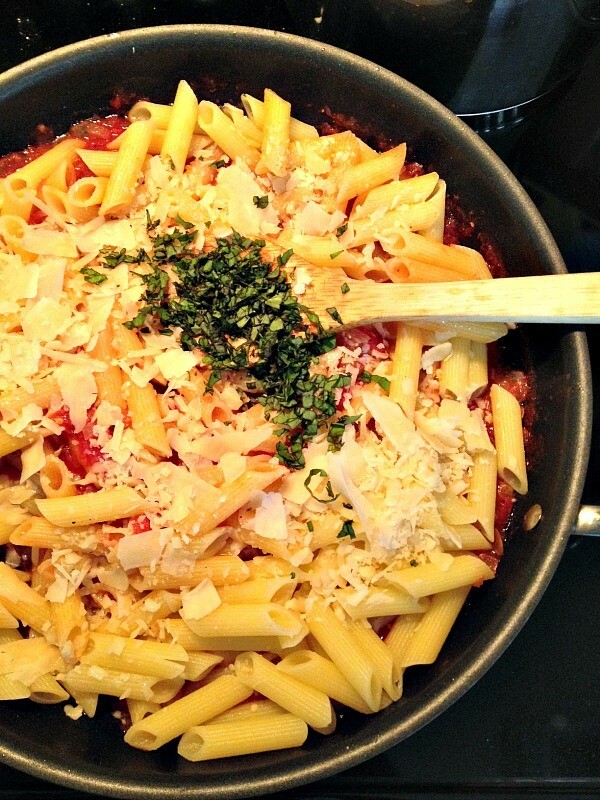 Add the cooked pasta and stir. Add the cheese and basil and stir again. 6. Stand back and look at your beautiful creation. 7. Serve with a salad and ENJOY. Here’s your recipe!